Parliament House - Where Tasmania's political leaders gather and make decisions. Salamanca Place - Home of the world famous Salamanca Market - Saturdays between 8:30am and 3:30pm. 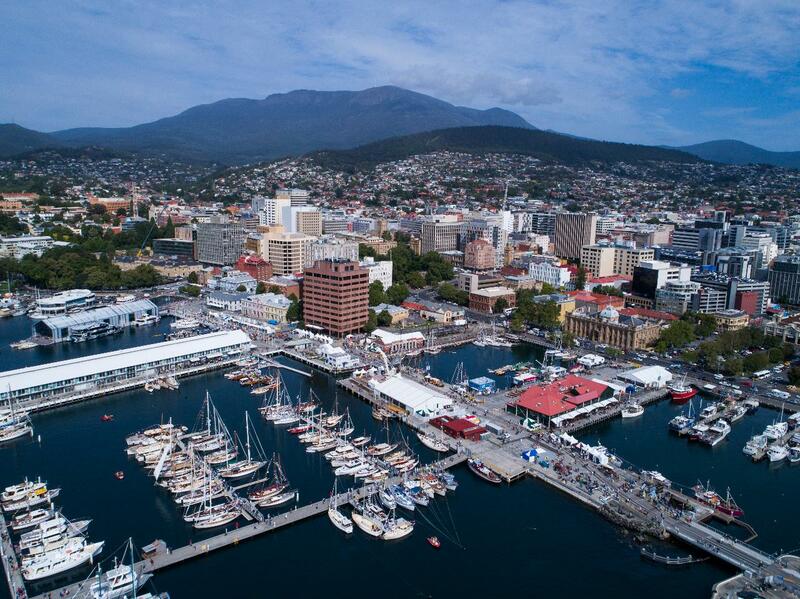 Battery Point - One of Hobart's oldest and historic areas with many buildings made of sandstone, dating from the 1830's. One needs to visit Arthur's Circus which represents the "village" green which the entire suburb is built around. Cascades Female Factory Historic Site - A former Australian workhouse for female convicts in the penal colony of Van Diemen's Land as Tasmania was then known. Cascade Brewery - The oldest continually operating brewery in Australia, established in 1832. Mt Nelson Signal Station - Offers magnificent views of Hobart, surrounding suburbs, Derwent River and the Southern Ocean. Tasman Bridge - A 5 lane bridge crossing the Derwent River. Find out why a span is missing and why the river now has a lake in it. One of the most spectacular sights. See yachts anchored in the bay with the Tasman Bridge as the back drop. Iconic Boat Houses dating back to the 1930's dominate the foreshore.